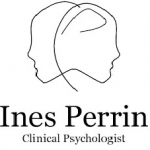 Ines Perrin is a Chartered Clinical psychologist who qualified both in France and in the UK (D.E.S.S Psychologie Clinique et Psychopathologie, CPsychol, BPS accredited, HCPC reg.) Ines Perrin has over fifteen years experience in both the NHS and in private practice. Ines Perrin offers adult individual short to long term psychodynamic psychotherapy. She has also trained in Executive Coaching (AOEC accredited) and has a special interest in the issue of burn out and work related difficulties. Ines Perrin's practice is located in Marble Arch (W2), nearest tube: Marble Arch or Bond Street.